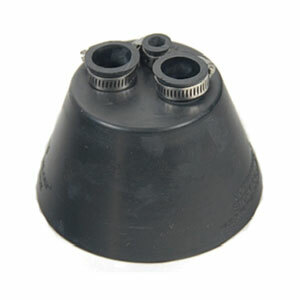 PRODUCT: AC FLASHING RAIN COLLAR, 3-PIPE, BLACK EPDM. FITS TWO 3/4 PIPES AND ONE 3/8 PIPE. 3 matching size stainless steel band clamps. Slip pipes through flashing collar.